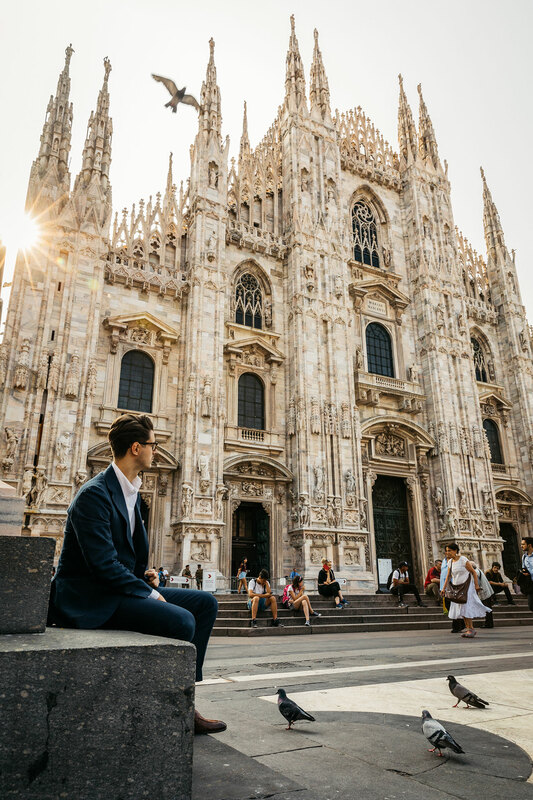 When we think of Milan, we think of some of our favourite fashion heavyweights – Dolce & Gabbana, Prada, Armani – and some of the world’s most well-dressed locals. We think of busy cobblestone streets, and incredible architecture. We think of a city rich in culture, style and, perhaps most importantly, superb coffee. Enter, Nespresso, Tribute to Milano Limited Edition. Grabbing a morning coffee in Milan is less a habit, and more an experience. Strolling into the local bistro, you stand by the bar with an espresso in one hand, and the daily paper in the other. There’s the sound of the coffee machine behind the marble counter, whistling and gurgling, and the rattle of white cups on saucers. And the smell is a mix of warm flaky pastries leaving the oven, and the perfume of the woman standing next in line. For the Milanese, coffee is ceremonial. And it’s this devotion which inspired Nespresso to launch their Limited Edition Tribute to Milano Grand Cru in 2015. The capsules capture the city’s intense lifestyle and coffee rituals, while remaining true to Nespresso’s overall coffee quality and expertise. Now, thanks to Australians’ love of intense coffee, the Italian favourite has hit our shores once again, and is giving you the power to experience the elegance and vibrancy of Milan at the touch of a button. With a high intensity flavour that can be enjoyed as a Ristretto or with milk in a Latte, Nespresso’s user friendly capsules continue to impress, as they create the highest quality coffee flavour and aroma from beans chosen amongst the top 1-2% of the world’s green coffee. Even better, coffee drinkers can do their part for the environment, with every Nespresso aluminium capsule recyclable, and the brand encouraging Australians to recycle their Tribute to Milano Limited Edition capsules at collection points around the country. Made for those fast-paced mornings, Tribute to Milano Limited Edition is a celebration of Italian culture, and sets out to sate the appetites of caffeine and style lovers alike. From the packaging to the first sip, you can experience the extravagance of Milan in every cup, and add a touch of Italian indulgence to your day. This article is written in partnership with Nespresso.